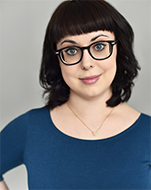 Jorja Hudson (Co-creator, Executive Producer, 'Willoughby') is a New York-based award winning comedy writer and video producer originally from London, England. Jorja’s written and video work has been featured on Elite Daily, Funny or Die, CollegeHumor, Reductress, Refinery29, Bustle and more. Jorja is also the creator and Head Writer of indie web series Low Budget Sketch Show, which screened at The Hollyweb Festival, New York Independent Film Festival and was featured in The AV Club, New York Times and The Observer. Brittany Tomkin (Co-creator, Executive Producer, 'Myrtle') is a New York-based award winning comedy writer and video producer. She writes and produces comedy web videos in her independent comedy duo, Brit & Brit. 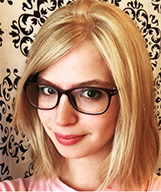 Brittany is both a contributing writer to Reductress, the satirical, online women's magazine, and a produced playwright. David Sidorov (Director) is a comedy writer and director based in New York City. His TV writing credits include Billy on the Street (Season 5, TruTV), Odd Mom Out (Season 3, Bravo) and The Onion's 2016 Election Special (Fusion). He has written and directed for a variety of The Onion’s video series, and has also worked on projects for Above Average, Comedy Central, Mashable, UCB Comedy, The New Yorker, and more. He directed the pilot Dead John which won Best Writing at the New York TV Festival in 2015. 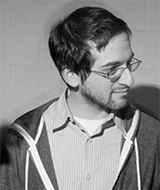 Steven Levine (Director) is a founding member of the comedy group Captain Hippo. He's directed work for Comedy Central, IFC, Above Average, Funny or Die and others. He was also on two episodes of Better Call Saul. Wow, look at him go. He also has a beagle named Dillinger who is long overdue for a bath. 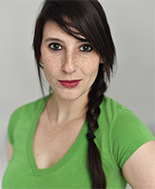 Ashley Sather (Producer) is a New York based comedy producer, performer, and writer. She got her start creating original stage and online content with indie sketch team Margarita Wilson, and has since worked with the production management team for UCB Comedy's digital platform (Don't Think Productions), and served as a producer on various indie tv and features. When she's not creating characters, sketches, or spreadsheets to house all of your comedy aspirations she can be found coordinating the myriad production needs of Vox.com's video team. Andy Zou (Director of Photography) is a comedian and filmmaker who has worked on projects for College Humor 2 and Funny or Die. 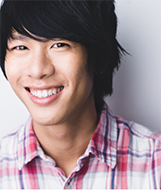 He is the creator of the original series Grapes Roommate which won Outstanding Writing, Premise, and Comedy at the 2014 L.A. Web Fest. He has enjoyed every step of the process of bringing "Myrtle and Willoughby" to life. Emily Hughston Hoffman (Art Director) began her career as the Art Department Coordinator for Saturday Night Live. She has art directed episodes of Low Budget Sketch Show, Mr. Student Body, Last Night and Shane and Dave. Other production credits include The Unbreakable Kimmy Schmidt and The Americans. Justin Grace (Co-Writer) is a comedian & poet from Atlantic City, New Jersey. He proudly dropped out of Columbia University but is floating, just fine. He's been featured on MTV, Sports Illustrated, and national syndication, and he's currently editing his first book of poems, Bury Me at Comfort Station, for publication in 2018 by Catland Press. Also he once got hit by a train and lived.